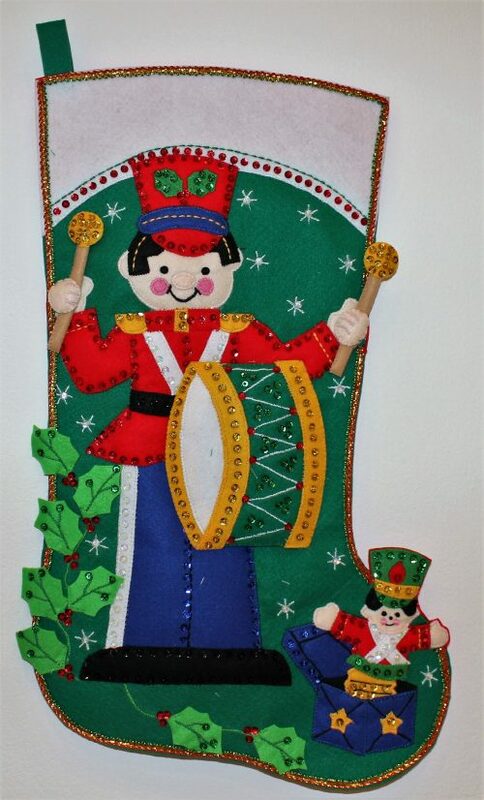 Beautiful hand made stocking that will be a treasure for a lifetime. We can no longer embroider the name before Christmas, so the stocking will come without a name . You can then bring it back to the store next year for a name to be added. The name will be hand embroidered in red across the top panel. Approx 68cm long.